One of the major mistakes that most businesses make when it comes to their website is that they don't build it for their customers. They build it for themselves. A lot of business owners have an idea of what they want their website to look like and how they want it to function, but they don't give a second thought to how their customers want it to look or how they want it to function. Whether your website is very basic or complex and intricate, your customers need to dictate every single piece of the design and development, even if it goes against what you want or like. What really matters at the end of the day is the customer, not the ego and tastes of the business owner or web designer. Heat maps aren't really that new, but they are a very new concept to a lot of businesses and business owners. The idea is that you can start to get feedback from your website visitors to help continuously improve your website based on data of how your visitors are using the website. Using a heat map can help you understand where your visitors are clicking on your website, how far they're scrolling on a given page, and even where their cursors are going on the screen during their visit. 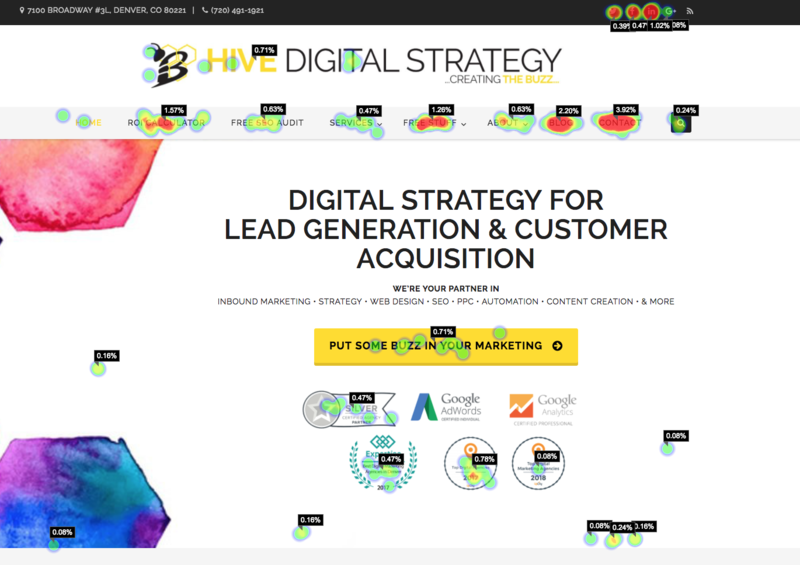 Add a heat map to your website today and start collecting data from your visitors to help you identify improvements that could be made to your website to convert more visitors into leads! Seems like a pretty dated process...because it is. Enter Growth-Driven Design. The idea behind GDD is that you can get a good website built within 60 (or so) days that's not perfect, but it's improved every single month based on data and usage of your visitors to get closer and closer each month to a perfect experience for your visitors, leads, and customers. So, instead of taking on a huge project that inevitably goes over budget and misses deadlines, you can get a site live quickly that is far better in a year from now than it is today because you're optimizing for your customers. Why build a new website every two to five years when you could just continually improve your site to be more user-friendly each month? It's all about continuous improvement based on data, not guesswork. By implementing a Growth-Driven Design model into your website, you learn more about your visitors and by using data to make decisions, you will make it easier for visitors to become leads and eventually customers. One of the smartest things that you can do as a business is to be forward thinking rather than reacting after things have already changed. While today, keyword-based search engine optimization is still the standard, the world of SEO is changing. And it's changing faster than you realize. Google (as well as many of the lesser search engines) are starting to understand searcher intent. This signals a huge shift from the standard keyword-based SEO to a topic-based model. Fun Fact: If your page is ranking on the first page of Google for a specific keyword, it's likely ranking highly for up to 1,000 other long-tail keywords. This is due to Google shifting to a topic-based model. So, what this means for you is that the old method of tracking individual keywords and focusing on an individual keyword on each page of your website is dying and it'll be history before you know it. If you want to be forward-thinking and be ahead of the game, you need to move towards this topic-based approach. To do this, you'll want to start organizing all of your website content into tightly knit topic clusters. Each topic cluster should then have a pillar page. This pillar page will include 2,000+ words all about the topic. It should cover every piece of it in detail. In addition to this pillar page, you'll want to have supplemental pieces of content (additional pages, downloadable content, blog posts, etc.). The supplemental pieces of content should all link back to the pillar page and the pillar page should link to each supplemental piece of content. The idea here is that you're creating a relationship that Google will understand. Once that relationship is defined, when one page in the topic sees a bump in search rankings, the entire topic will receive a bump. Here's a visualization of how this model works. 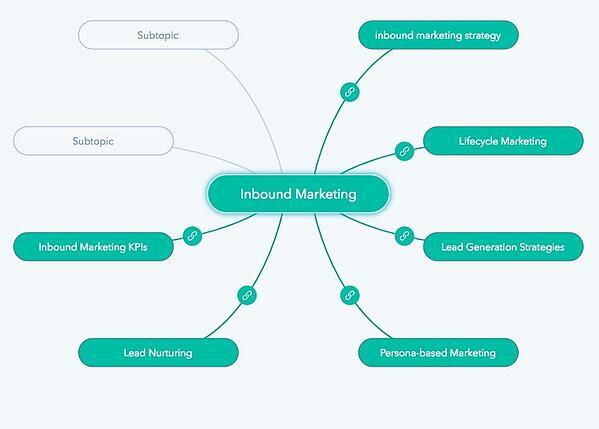 In this example, Inbound Marketing is your topic and pillar content. There are also six different supplemental pieces of content including Inbound Marketing Strategy, Lifecycle Marketing, and Lead Nurturing. Every visitor to your website is not created equal. Some are customers, some are very qualified leads, some are just anonymously browsing, others clicked a link and didn't mean to visit your site, and maybe some are competitors just checking out what you're doing. You don't want to treat all of these different people the same, right? Why would you want to show a customer (who obviously already knows what you're about) the same basic sales-focused calls-to-action that you show a lead that you're nurturing in your pipeline? A customer isn't interested in a free consultation, for example. In the same vein, a first time visitor to your website does not care about your guide on how to use your software, for example. These people are just gathering information. They haven't even seen your software yet. One easy and effective digital marketing idea that most businesses fail to utilize is SMART content. This is content that changes on your website depending on who is viewing it. So, for example, your current customers are seeing calls-to-action that make sense to them such as how-to guides on using your software and news on new product features. On the other hand, that first time visitor is seeing top of the funnel CTAs that are meant to help get them to convert as a lead and get them into your pipeline so that you can nurture them into customers later. Take a look at your website - every page - and try to view it as a first time visitor, repeat visitor, and customer. Do your calls-to-action make sense for each person? Our guess is probably not. Like I mentioned earlier, these aren't brand new ideas, but utilizing these digital marketing ideas will likely put you far ahead of all of your competitors that play that reaction game. We are strong believers in the fact that any good marketing idea or campaign starts with well developed target personas. That's why we developed our FREE Target Persona Worksheet! You can't develop great content if you don't know who that content is for! Start developing your target personas today and start reaching the right people at the right time!